Here is the issue link and if you are reading this after July 1st, head here for the archives. I am truly honored to be a part of this publication, which is also distributed to fabric and quilting stores around the country. Congrats, Lorie. 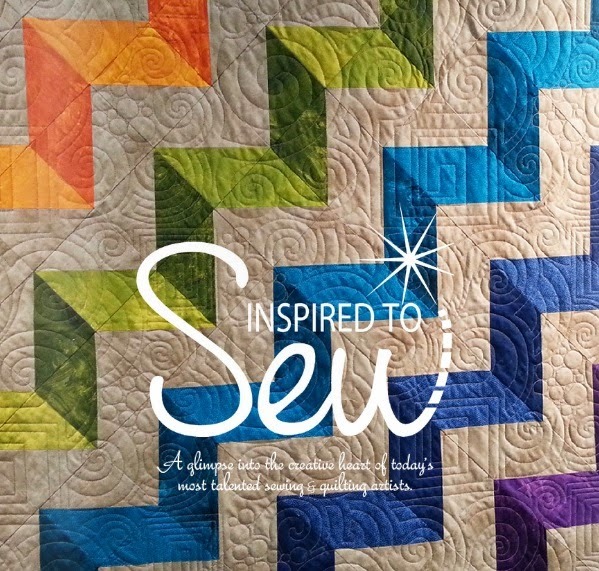 Your sewing is beautiful and you deserve the spotlight. I have never heard of that magazine so thanks for the information. It looks like a good read. Thank you, Barbara, I appreciate you kind words. First - that was so cool that they featured you! Loved reading your background even though I've been reading your blog for years! Second - thanks for sharing both issues. It was nice to see the spread on Meg! Thank you, Carolyn, it was fun to do and I thought Rita wrote a very nice article. Congratulations! You are a sewing star! Oh, Donna, you are so sweet. Congratulations Lori! Of course you are a sewing star! Thanks, Isabelle, you are so sweet. Wow Lori! What a great article, and so well deserved. Congrats! Thank you, Lisa, you are very kind. Congratulations Lori! It's a well deserved honor for you. Thank you, Donna, I appreciate it. Congrats on your feature Lori. I always love to find out more about the bloggers I follow (just nosey!) but it just makes people more real. Thanks, it is fun to know more about people. Congratulations on a great article! It's always fun to see someone you know in print!